Taste of the Seminary – Come Visit! Are you considering the pastoral ministry as your life’s vocation? Are you a layperson interested in deepening your understanding of the Christian faith through higher studies? Are you a church worker wanting to enrich your knowledge by pursuing a master’s degree in theology? Would you like to meet other people with the same goals? 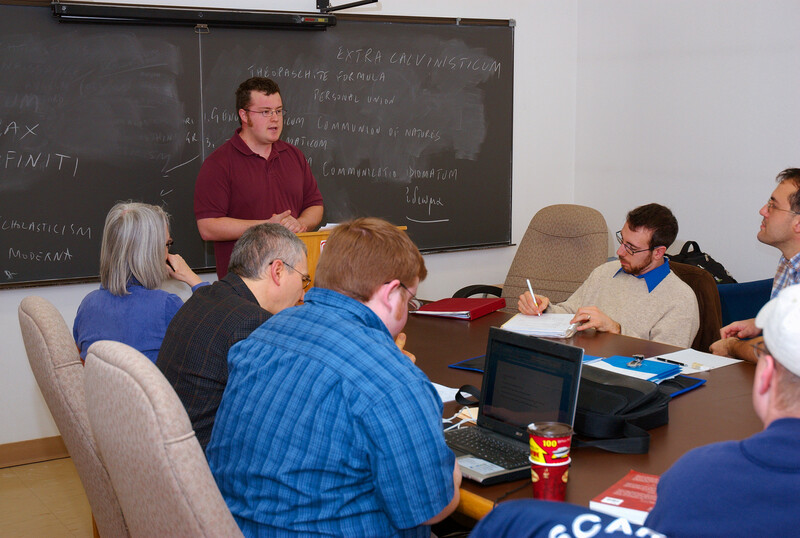 Come explore the possibilities at Concordia Lutheran Theological Seminary. On Tuesday, 18 February 2014 (during most Ontario universities’ reading week) we are opening our doors to you. Come and sit in on a class, explore the library facilities, and worship with us. Visit with a professor to discover your options. Discuss the costs and the support available. We’ll offer you a warm welcome and a free lunch. You don’t get that everywhere anymore! Please RSVP to Linda Lantz (concordia@brocku.ca). Let us know if you need help with accommodation for the night before. If you can’t make this day, but would like to come another time, please contact our Director of Admissions, Dr John Stephenson (jstephenson@brocku.ca). Yes, we offer some online courses each year. Please contact our registrar, Dr John Stephenson (jstephenson@brocku.ca), for more details.